Thanks to the folks at Carwow, we have the answer to which SUVs you should own if you want to be the fastest. 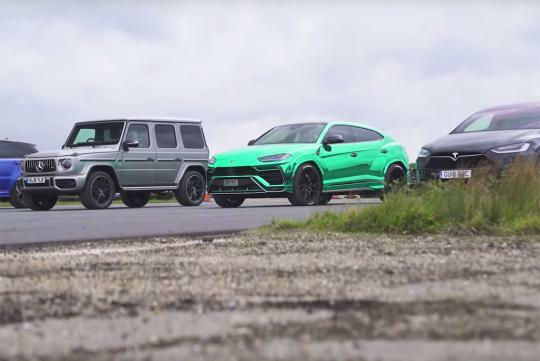 Entered in the drag race is the latest Tesla Model X P100D which is rated at 762bhp, the brand new Mercedes-AMG G63 with 577bhp, the current 575bhp Range Rover Sport SVR and Lamborghini's first crossover, the Urus, rated at 641bhp. Will the power figures tell an accurate picture of how the race will pan out? Watch and find out!